"A thoroughly impressive tribute to the very best friend the investor has ever had." "A measure of a person′s life is this: Did you leave the world a better place? In the case of Jack Bogle, it′s a question that is laughably easy to answer. From millions of ordinary investors, you would hear a rousing chorus of feet–stomping, stadium–shaking cheers. And those cheers are richly deserved, as you′ll discover when reading about ′The Man in the Arena′ and all that he has done for his fellow citizens." 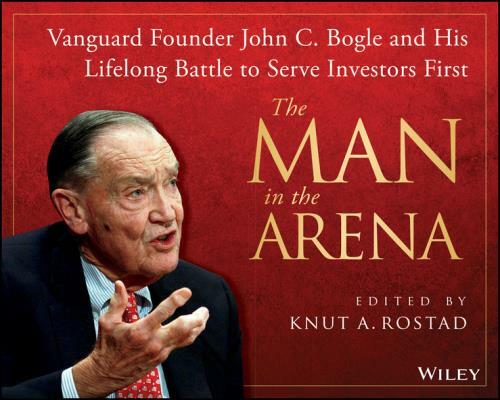 "Jack Bogle is one of a small handful of people who made the investing world serve the hopes and dreams of ordinary people. Whatever his subject, he speaks and writes from a strong, moral belief that finance should be simple, honest, and fair."